The Unusual: Does a Shark and Bikinis Mix? 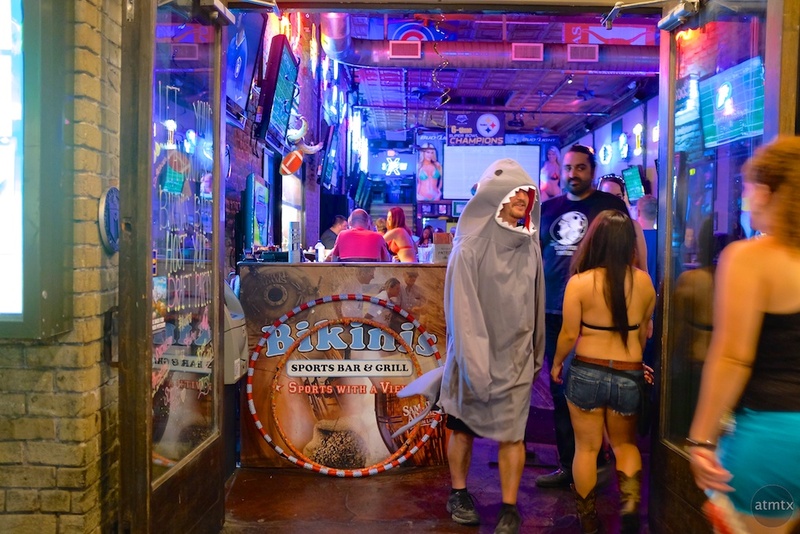 There is a marketing slogan in Austin called, “Keep Austin Weird”. As seen at Bikinis Sport Bar last Friday night on 6th Street.